My Name is Julie Wiemers and I have been teaching 2nd grade since 1994 in the Bethalto district. I previously taught 3rd grade and kindergarten at St. Matthew School in Alton from 1985-1993. I earned my teaching degrees from Southern Illinois University in Edwardsville. I really enjoy spending the day with my second graders. Our classroom is a very busy place with many exciting lessons each day. I hope that parents and grandparents will be ready to volunteer and assist our class with library and computer activities, PTO, and class trips. Please contact me if you would like to be involved in our daily schedule and activities. I look forward to hearing from you! 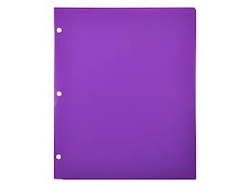 Please check your child's purple "Parent/School Communication" folder each day. Their daily homework and any special notes for the day will be in the folder.